What did modern humans look like during the “Out of Africa” event? The neighbor-joining tree above is generated with a naive model of successive bifurcation. The model is wrong in the details. Pathan and Basque have some ancestry is which recently diverged, and much that is deeply diverged. The 15,000 year value is just an average. 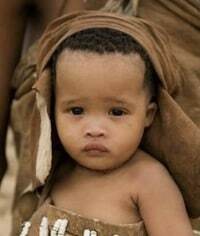 Similarly, the Khoisan have some Eurasian ancestry. 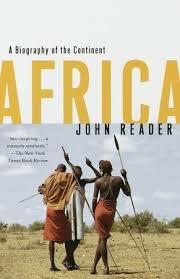 But in the broad sketch it illustrates that some African populations diverged a very long time ago from other groups. 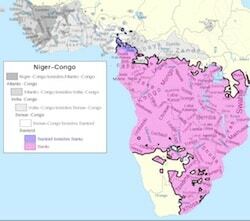 Ancient Africans date to ~200,000 years before the present for all the modern populations. Khoisan to Japanese. You could probably use phylogenetic character reconstruction methods to attempt to infer what ancient Africans looked like…but I’m not sure that it would be useful since modern humans have spread over so many ecologies over such a short span of time. 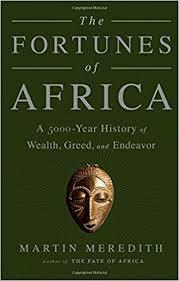 Outside of Sub-Saharan Africa perhaps on the order of 95% of the ancestry derives from an expansion from a small founder group between 60 and 80 thousand years ago. 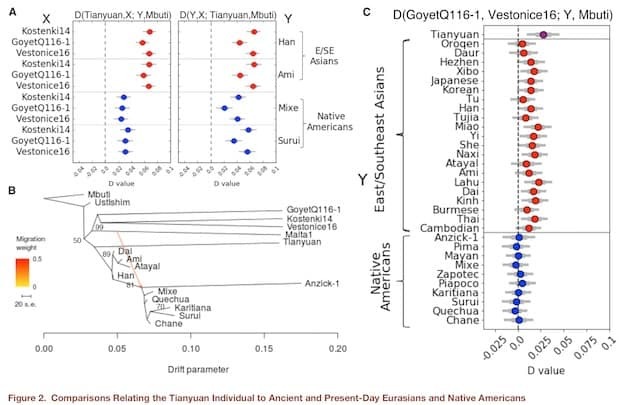 Removing the “Basal Eurasian” component, groups as diverse as Native Americans, Oceanians and East Asians probably derive their ancestry from a common group which flourished between 50 and 60 thousand years ago (this pulse is the majority of the ancestry of Europeans and South and West Asians as well). The point here is to illustrate that 50,000 years is definitely sufficient for a great deal of diversity to have emerged in human physical variation. And yet the Khoisan are ~200,000 years diverged from their ancestors within Africa. We actually know that indigenous southern Africans have been selected for lighter pigmentation. We also know that loci associated with pigmentation in modern humans exhibits a lot of variation in Africans, and this variation is likely an ancestral feature of our species. In sum, the number of generations between ancestral Africans and all modern descendent populations is great enough that I’m not uncertain that we can predict what they look like in anything except their skeletal features. Additionally, most of the history of anatomically modern humans was likely highly structured within Africa. That’s another way of saying that ancient Africans themselves were probably physically diverse. With all that being said, all things equal ancient Africans probably are more likely to look like modern Africans than modern non-Africans. The main reason is simply that modern Africans occupy the same broad ecological landscape as ancient Africans, and many of our features, from our build to our complexion seem dependent upon environmental pressures. 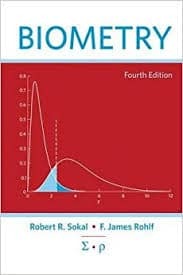 There’s lot of evidence that very light skin is probably a derived characteristic of our species (there are consistent signatures of sweeps around pigmentation loci). And, there is also evidence that some of the archaic introgression into non-Africans may have consequences in our morphology and external physical characteristics. For example, Eurasians seem to have very high frequencies of Neanderthal variants of the keratin gene. This is implicated in hair, skin and nail development. Addendum: Note that even if we have ancient genomes, polygenic characteristics are still hard to predict. Even today common SNPs only explain a minority of the variation in hair color in Europeans. Posted in Human Genetics, Human Genome, Human GenomicsTagged Human Evolution, Modern Humans6 Comments on What did modern humans look like during the “Out of Africa” event? 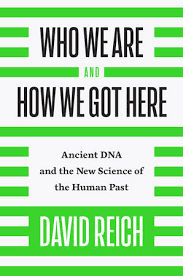 Yesterday I talked to a friend who has a review copy of Who We Are and How We Got Here: Ancient DNA and the New Science of the Human Past. They gave me a preview (their overall assessment was positive). I haven’t personally asked to get a copy because, to be honest, I thought there wouldn’t be anything new in it. If you “read the supplements” what more could there be in 368 pages? 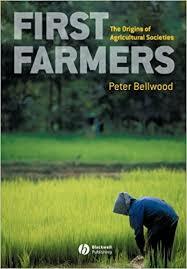 So I was waiting until the end of the month to buy the book and read it in my own sweet time as due diligence. Well, this morning I asked a publicist to send me a copy. I will be getting it next week. 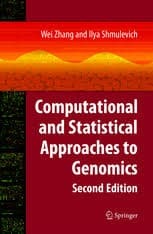 The reason is that I’m told the latter portions of the book are quite challenging and candid as to what genetics may tell us in the 21st century. 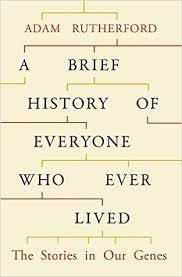 Who We Are and How We Got Here is a 21st-century revision and update of The History and Geography of Human Genes. But it’s apparently a lot more. Also, I make a small cameo in the book, as does Eurogenes and Dienekes. I have always appreciated how the David Reich and Nick Patterson and their whole lab has taken people outside of the halls of the academy seriously. They didn’t need to as a matter of professional necessity but often engage as a matter of decency and seriousness. …we generated genome-wide data from a 40,000-year-old individual from Tianyuan Cave, China…We find that he is more related to present-day and ancient Asians than he is to Europeans, but he shares more alleles with a 35,000-year-old European individual than he shares with other ancient Europeans, indicating that the separation between early Europeans and early Asians was not a single population split. We also find that the Tianyuan individual shares more alleles with some Native American groups in South America than with Native Americans elsewhere, providing further support for population substructure in Asia  and suggesting that this persisted from 40,000 years ago until the colonization of the Americas. Our study of the Tianyuan individual highlights the complex migration and subdivision of early human populations in Eurasia. The Tianyuan sample lived about ~40,000 years ago in China, and it does not seem to have been the direct ancestor of modern East Eurasians. 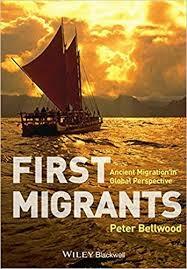 It also seems to have had some relationship to the Australo-Melanesian affiliated population which contributed ancestry to the indigenous peoples of South America. Additionally, it also shares ancestry above what you’d expect with a 35,000 year old Paleolithic European, the GoyetQ116-1 sample, which is found in an Aurignacian context. There are some direct conclusions that one can infer from this paper. First, as known beforehand the divergence between East Eurasians and West Eurasians has to predate 40,000 years before the present since this sample already shares drift with East Eurasians far more than West Eurasians. In the paper, the authors give an interval of 40,000 to 80,000 years before the present, which seems advised. Remember that “Basal Eurasians” separated before the divergence of East and West Eurasians. Second, “ghost” populations were common. There are at minimum two ancient Eurasian populations, represented by the Oase1 sample in Romania from 40,000 years ago, and the 45,000 year old Ust’-Ishim from Siberia, who were not closely related to any populations which left descendants today. Third, the human “family tree” looks more like a human “family bramble.” One of the interesting points in this paper is that Tianyuan shares drift with Goyet, but does not share drift with El-Miron, which seems to be descended in large from a population like Goyet. The key here is to note that Goyet is the closest proxy to some of the ancestors of El-Miron, but it may not be the ancestor at all. So if Goyet-like populations were heterogeneous in relation to East Eurasian, then El-Miron may descend from a group which never mixed with East Eurasians. This is clear when you read many of these ancient DNA papers closely. The Mal’ta boy was representative of a population which contributed to both Northern Europeans (via Eastern Hunter-Gatherers) and Amerindians, but the deeper results also indicated that the common contributor to these populations was not the Mal’ta population, but related to them. That is, there is no expectation that the sparse sampling of ancient DNA in many regions and epochs will find the ancestral populations, as opposed to groups related to the ancestral populations. This is a looking-through-the-glass-darkly situation. The true pattern of population relationships of the past needed to be inferred from a finite set of individuals randomly drawn from those populations. If most of those populations left no descendants due to common and repeated local extinction events, then it may be that most of the time we’re going to have to triangulate to the “true” ancestral groups, who left descendants simply due to luck. Finally, this should really put the nail in the coffin of the idea that we can think of ancient populations are algebraic recombinations of modern populations. 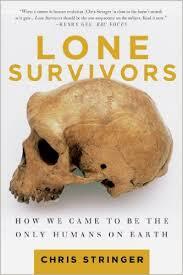 Modern groups almost certainly sample only a small part of the distribution of ancient populations. Very interesting abstract at the ASHG meeting of a plenary presentation,Novel loci associated with skin pigmentation identified in African populations. This is clearly the work that one of the comments on this weblog alluded to last summer during SMBE. There I was talking about the likely introduction of the derived SLC24A5 variant to the Khoisan peoples and its positive selection in peoples in southern Africa. 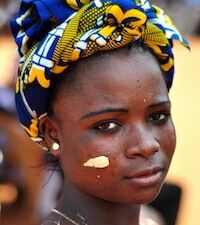 Despite the wide range of variation in skin pigmentation in Africans, little is known about its genetic basis. To investigate this question we performed a GWAS on pigmentation in 1,593 Africans from populations in Ethiopia, Tanzania, and Botswana. We identify significantly associated loci in or near SLC24A5, MFSD12, TMEM138…OCA2 and HERC2. Allele frequencies at these loci in global populations are strongly correlated with UV exposure. At SLC24A5 we find that a non-synonymous mutation associated with depigmentation in non-Africans was introduced into East Africa by gene flow, and subsequently rose to high frequency. At MFSD12, we identify novel variants that are strongly correlated with dark pigmentation in populations with Nilo-Saharan ancestry. Functional assays reveal that MFSD12 codes for a lysosomal protein that influences pigmentation in cultured melanocytes, zebrafish and mice. CRISPR knockouts of murine Mfsd12 display reduced pheomelanin pigmentation similar to the grizzled mouse mutant (gr/gr). Exome sequencing of gr/gr mice identified a 9 bp in-frame deletion in exon two of Mfsd12. Thus, using human GWAS data we were able to map a classic mouse pigmentation mutant. At TMEM138…we identify mutations in melanocyte-specific regulatory regions associated with expression of UV response genes. 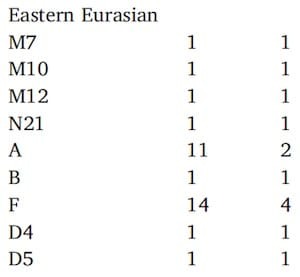 Variants associated with light pigmentation at this locus show evidence of a selective sweep in Eurasians. 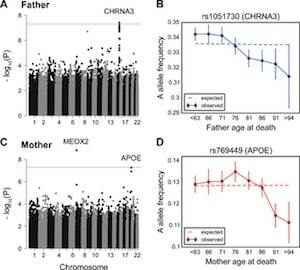 At OCA2 and HERC2 we identify novel variants associated with pigmentation and at OCA2, the oculocutaneous albinism II gene, we find evidence for balancing selection maintaining alleles associated with both light and dark skin pigmentation. We observe at all loci that variants associated with dark pigmentation in African populations are identical by descent in southern Asian and Australo-Melanesian populations and did not arise due to convergent evolution. Further, the alleles associated with skin pigmentation at all loci but SLC24A5 are ancient, predating the origin of modern humans. 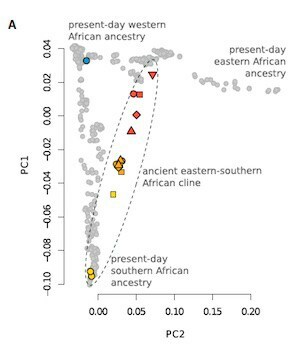 The ancestral alleles at the majority of predicted causal SNPs are associated with light skin, raising the possibility that the ancestors of modern humans could have had relatively light skin color, as is observed in the San population today. This study sheds new light on the evolutionary history of pigmentation in humans. Much of this is not surprising. Looking at patterns of variation around pigmentation loci researchers suggested years ago that Melanesians and Africans exhibited evidence of similarity and functional constraint. 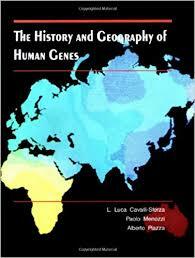 That is, the dark skin alleles date back to Africa and did not deviate from their state due to selection pressures. In contrast, light skin alleles in places like eastern and western Eurasia are quite different. This abstract also confirms something I said in a comment on the same thread, that Nilotic peoples are the ones likely to have been subject to selection for dark skin in the last 10,000 years. You see above that variants on MFSD12 are correlated with dark complexion. In particular, in Nilo-Saharan groups. The model Nyakim Gatwech is of South Sudanese nationality and has a social media account famous for spotlighting her dark skin. In comparison to the Gatwech and the San Bushman child above are so different in color that I think it would be clear these two individuals come from very distinct populations. There is obviously a bias in the studies of pigmentation toward those which highlight European variability. The theory of balancing selection makes sense to me because ancient DNA is showing OCA2 “blue eye” alleles which are not ancestral in places outside of Western Europe. And in East Asia there their own variants. Lots of variance in pigmentation not accounted for in mixed populations (again, lots of the early genomic studies focused on populations which were highly diverged and had nearly fixed differences). Presumably, African research will pick a lot of this up. This also should make us skeptical of the idea that Western Europeans were necessarily very dark skinned, as now we know that human pigmentation architecture is complex enough that sampling modern populations expand our understanding a great deal. Finally, it’s long been assumed that at some stage early on humans were light skinned on most of their body because we had fur. 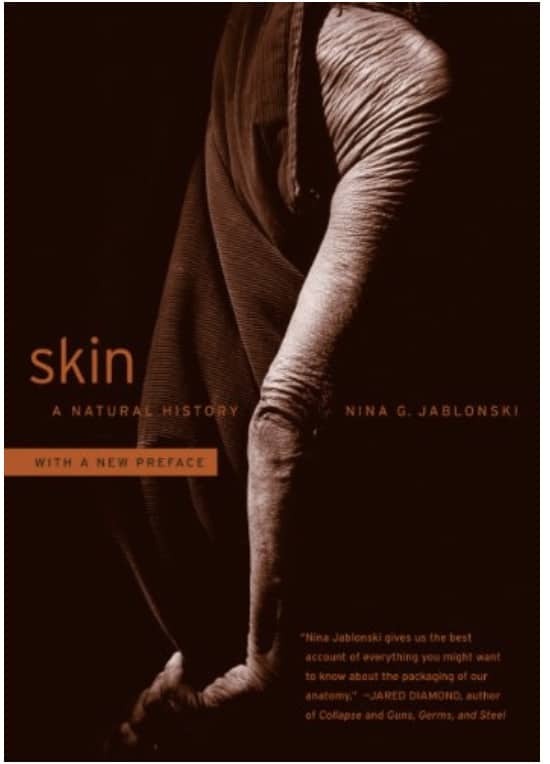 When we lost our fur is when we would need to have developed dark skin. This abstract is not clear at how far long ago light and dark alleles coalesce to common ancestors. When I first got my father’s 23andMe results the Y and mtDNA were an interesting contrast. He, and therefore myself, carried Y lineage R1a1a, the lord of the paternal lineages. That was not that great a surprise. In the 1000 Genomes results for the Bangladeshi sample 20% of the men were direct paternal descendants of the R1a1a progenitor. The biggest sample of mtDNA results from Bangladesh I could find at N = 240 does not find any G at all, let alone G1a2. 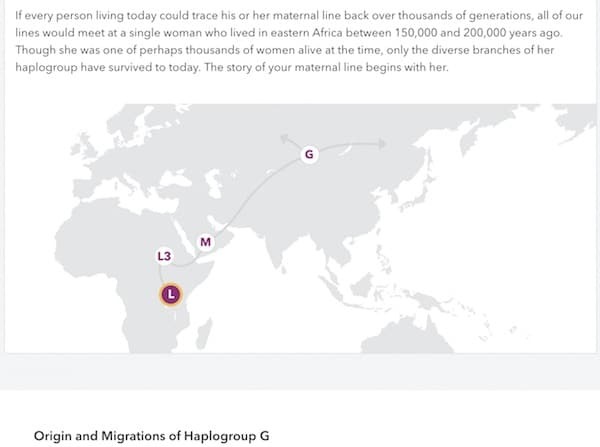 So this is clearly it is a rare haplogroup in the region. 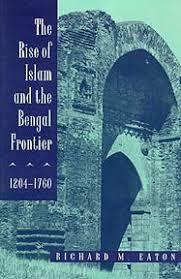 But, the authors do classify 13% of the Bangladeshis as carrying an “East Eurasian” haplogroup. Haplogroup A is found among Southeast Asians and Southern China, though not among Austronesians. Haplogroup F seems to have a similar distribution, as does D, B. The other haplogroups also seem “correctly” assigned in terms of modal distribution. They are all mostly East Asian. Looking at the Y chromosome haplogroups in the 1000 Genomes there are two of O2 and O3, and one of C3, which are clearly of Southeast Asian origin. With N =5 out of 44 samples that is ~10%. O2 is interesting because it is found at very high frequencies among the Austro-Asiatic populations in South Asia, whether it be the Khasi, or Munda groups (general O2a). O3 seems associated with Tibeto-Burman populations, and C3 with East Asia more generally. The above tweet is in response to a article which reports on the finding past month in PNAS, Early history of Neanderthals and Denisovans. 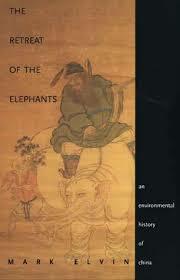 It’s open access, you should read it. I don’t think I’ve reviewed it because I haven’t dug through the supplements. To be frank this is a paper where you pretty much have to read the supplements because they’re introducing a somewhat different model here than is the norm. I talked to Alan Rogers at SMBE about this paper. Broadly, I think there might be something to it, and it’s because of what David says above. It is simply hard to imagine that Neanderthals could be extremely successful with such low genetic diversity as we see, and spread so thin. Now, the Quanta Magazine tries to emphasize that the effective population is not the true census population, but I wish it would have explained it more clearly. Basically, the size that is relevant for breeding is obviously not going to the same as a head count. And, because effective populations are highly sensitive to bottlenecks you can get really small numbers even when the extant population at any given time may be large. The PNAS paper makes some novel inferences, and I’ll set that to the side until I read the supplements. But I don’t think it’s crazy that population structure within Neanderthals could be leading to lower total genetic diversity. There’s so much science coming out of the UK Biobank it’s not even funny. 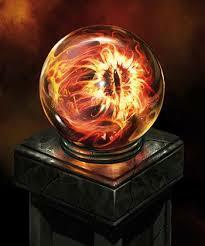 It’s like getting the palantír or something. A scatter-plot is worth a thousand derivations. You know what better than 500,000 samples? One billion samples! A nerd can dream…. The recent PLOS BIOLOGY paper, Identifying genetic variants that affect viability in large cohorts, seems to have triggered a feeding frenzy in the media. For example, Big Think has put up Researchers Find Evidence That Human Evolution Is Still Actively Happening. I wasn’t paying close attention because of course human evolution is still happening actively. From a genetic perspective, evolution is just change in allele frequencies. Populations aren’t infinite, so even if there wasn’t any selection stochastic forces would shift allele frequencies. But of course selection is probably happening. For adaptation by natural selection to occur you need heritable variation on a trait where there are fitness differences as a function of variation within the population. It seems implausible that these conditions don’t still apply. 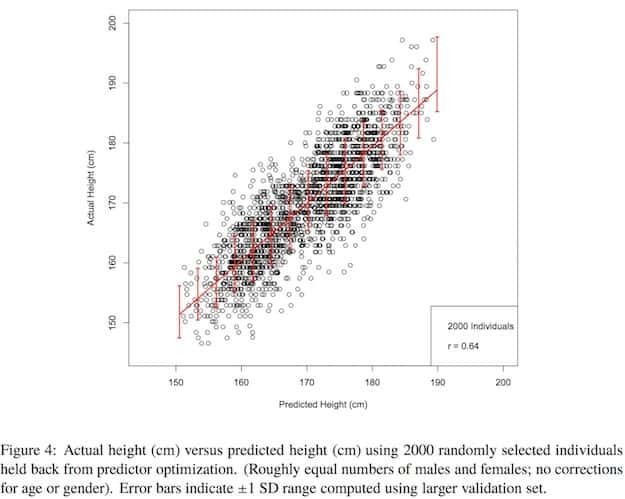 There’s plenty of fitness variation in the population, and it’s unlikely to be random as a function of heritable variation. But the devil is in the details. And last year Field et al. used the modern genomic tools available to detect selection occurring over the past 2,000 years. It is not credible that it wo uld have magically stopped a few centuries ago. So why is this new paper such a big deal? (note that it’s in PLOS BIOLOGY, not PLOS GENETICS) Because the method they use is ingenious and simple. Basically, they’re looking at changes in allele frequencies as a function of age in huge populations. It’s a little more complicated than that, they used a logistic regression to control for some of the other variables. But they found some biologically plausible hits with their data set of 50,000-150,000. And, they replicated their hits from a European sample to a non-European one. This does bring me back to a discussion I observed a while back. An evolutionary geneticist who works with Drosophila mentioned offhand that in his field there really wasn’t that much of a need for more data. They could spend all their time to doing analysis. A prominent human geneticist whose work focused on biomedicine piped up that that wasn’t true at all for their field. There are some differences in the scientific questions, but there are also differences in terms of what you can do with humans as a model organism. 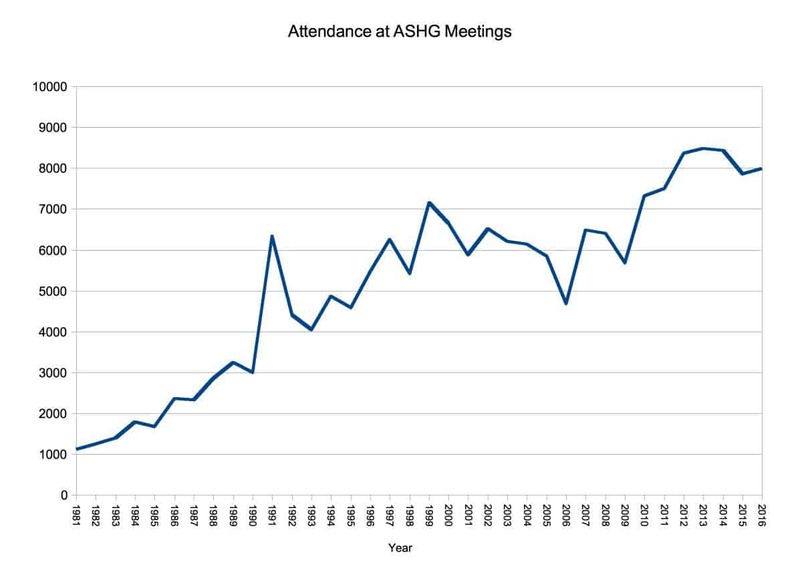 In the paper they look forward to the day of increasing sample sizes an order of magnitude beyond where it is now. At some point in the near future, large fractions of entire nations will be sequenced at medical grade level (30x coverage). Anyway, you should read Identifying genetic variants that affect viability in large cohorts. It’s pretty straightforward.